The first intranet built to actually connect your workplace apps. Simpplr's intranet technology was built for (and in) this century to play nice with contemporary cloud-based applications. Bring ChatterTM to life with seamless Salesforce intranet integration and get the same cloud security, scalability, and reliability as Salesforce without purchasing additional licenses. Automatically provision and deactivate users housed in your Workday HRIS to ensure appropriate user access is always up to date. Easily search, update, and securely share your most important and up-to-date files. 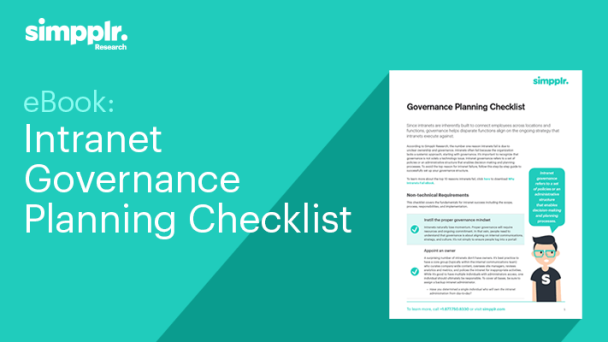 Drive engagement with a front-page launchpad for all your workplace apps with a secure identity management integration. 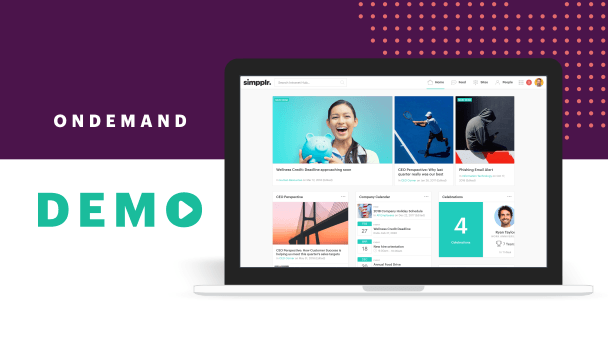 Publish and play embedded videos directly within Simpplr's intranet to enhance engaging content without weighing down system performance. Integrate the entire enterprise and drive more contributors into your messaging apps by piping them directly into Simpplr's intranet feeds. As companies struggle with a patchwork of splintered productivity apps, Simpplr's intranet integrations elegantly thread your most valuable tools together.